I believe that the program I’ve set out for 2018 will maximise my chances of gaining selection. As a precursor to Europe, I competed in a number of major, international events within Australia. 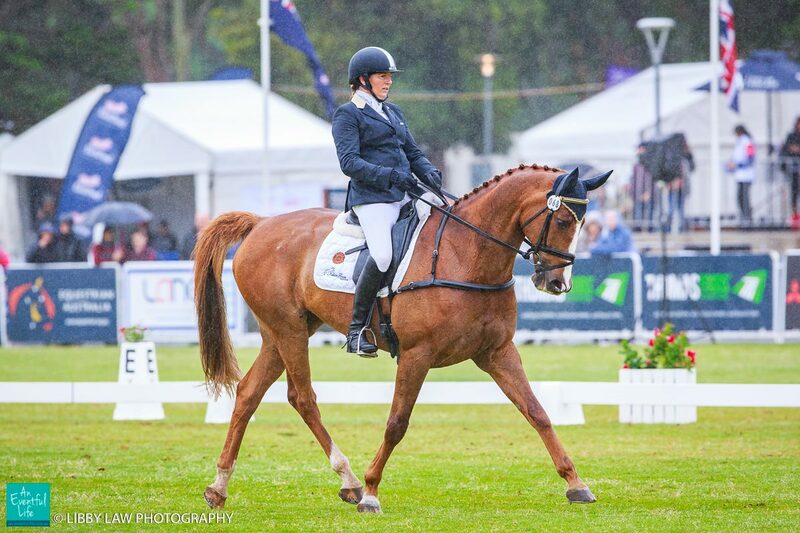 These events included competitions at the 2000 Olympic venue at Horsley Park, Sydney Eventing – International CIC (Feb 2018) and Berrima International CIC (March 2018), Equestriad National One day Event (April 2018) and our final event in Australia and the all-important qualifier for the World Equestrian Games Sydney International Three-Day Event (April 2018). The Australian component of my preparation is a key feature of my campaign, allowing me access to my support network and maximise local endorsements. Following these events, Adelaide Hill and I will travel to the UK in early June 2018 where we will compete at two major targeted events. 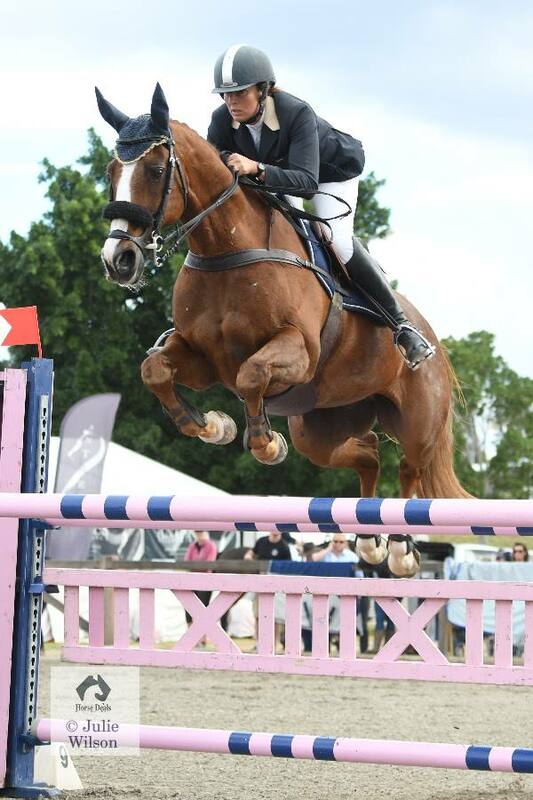 The first of these events is Barbury International CIC in the United Kingdom, the second event is probably the most famous International event in the world, Aachen CIC – Nations Cup held in Germany. Experience and participation in these events will not only provide exposure to international audiences but will also offer the best chance of selection. History has shown that previous Australian Gold medallists have been successful by following a British and European campaign. The cost is significant, and I will be unable to fulfil my dream alone. My goal is to raise $95,000. 00. To date we have raised just under $60,000 which is fantastic.I believe that I would be a worthwhile asset and ambassador to a company willing to contribute as a sponsor and become a part of this story. Adelaide and I are very grateful for those who have supported us thus far in our journey and without those people we would not be were we are today, by taking part in this auction wether it be through offering items to donate or taking part in the auction you are supporting us and from the bottom of our hearts- we thank you. We hope you enjoy the amazing items we have for offer, so please get bidding! 1. The auction will be held from 9 pm June 4th and will close on the 1st July 2018.
be dependant on how much funds are raised over the next few weeks. advertised recommended retail price shown on the site. 4. The winning bidder agrees to pay Nominate by credit card no later than the 5th July 2018. If payment is not received by this date then the next highest bidder wins the bid and shall be notified. 7. Bids are binding. Bids may not be retracted once submitted. 6 Months XC course hire of Bates Equestrian cross country course. This includes unlimited hire for one rider - multiple horses included. Valued at $33.00 per horse inc GST per ride. One dressage lesson with Christine Bates. Lesson is valued at $99 inc GST. Valid for 12 months from close of auction. One show jumping lesson with Christine Bates. Valued at $99.00 inc GST. Valid for 12 months from close of auction. One cross country lesson with Christine Bates at Bates Equestrian. Valued at $132.00 inc GST. Valid for 12 months from close of auction. 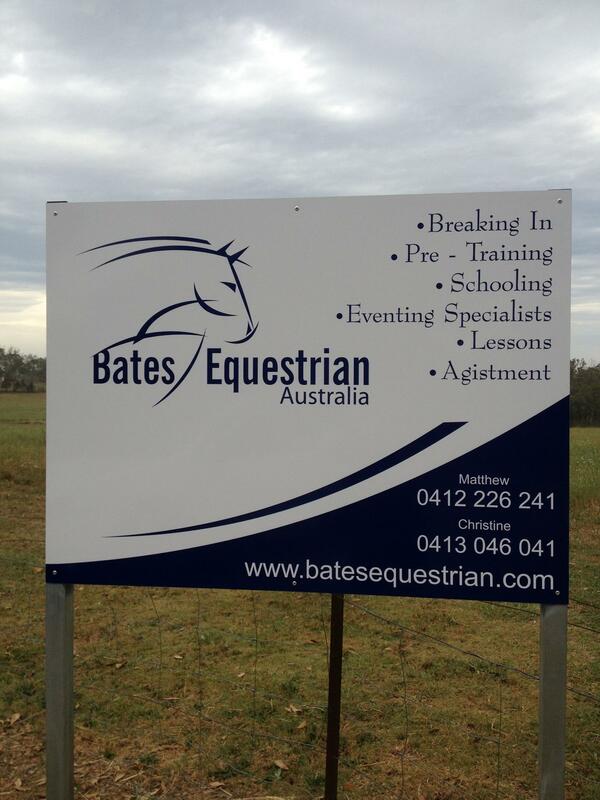 1 x Package deal for Bates Equestrian Ultimate Training Clinic. This items includes 1 x group cross country lesson - 2 hours duration with 4-6 riders and 1 x group show jumping lesson for 1 hour with 3 riders. Valued at $150 inc GST. Valid for 12 months from close of auction. 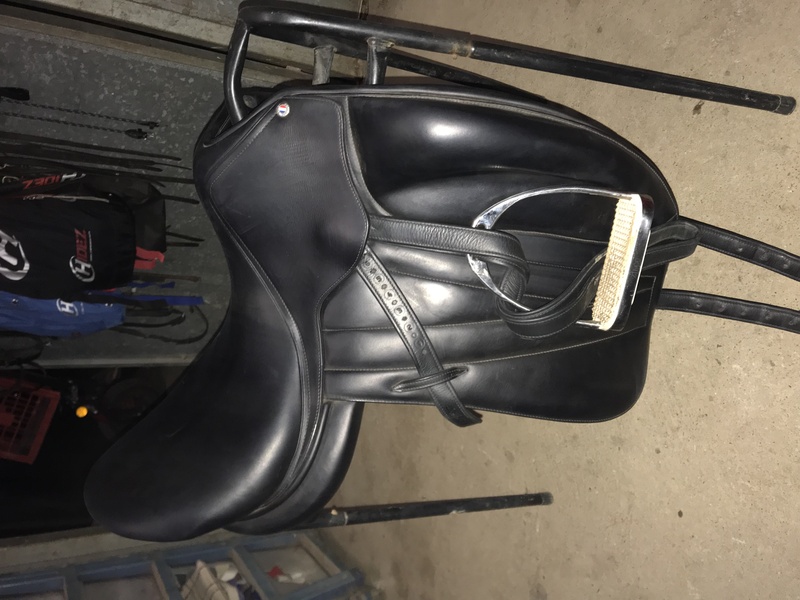 1 x Butet Black Dressage saddle 17-17.5 inch unmounted. Just over 12 months old in near new condition. Valued at over $6500.00 Please note this item has a reserve of $4800.00. Item is located in Wilberforce, NSW for pickup only. His and Hers handmade leather and canvas safari bags valued at $250.00 These bags are perfect for weekends away! Kindly donated by The Classic Safari company. Items are located in Sydney for pickup. 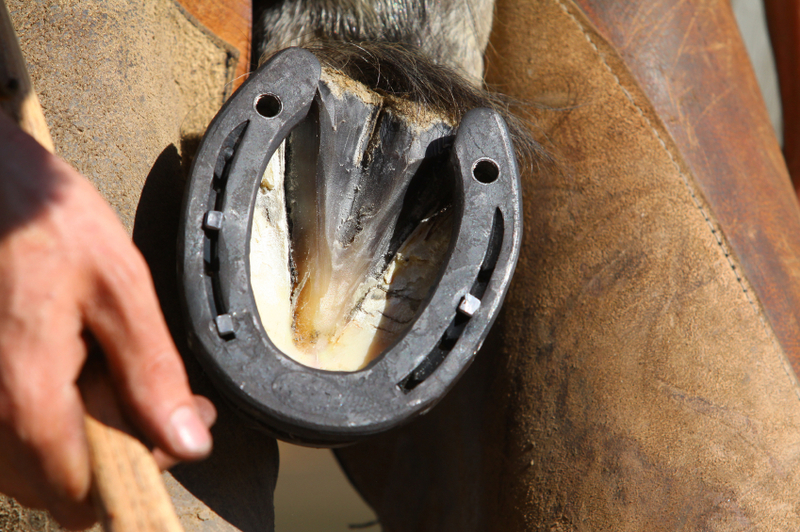 1 x Foot assessment and shoeing with Master Farrier Mark Colbran. Valued at $250.00. 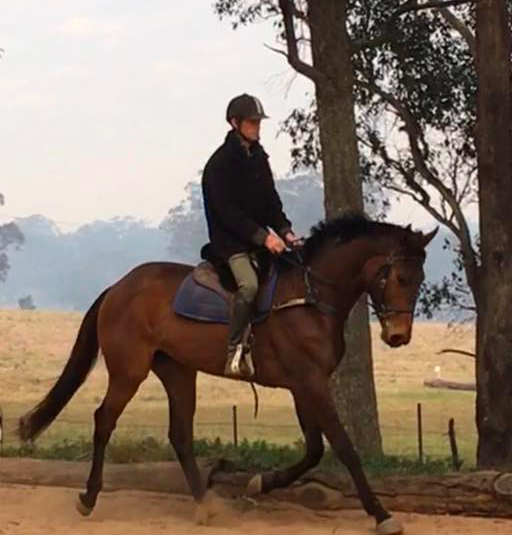 Please note Mark is located in Hawkesbury area NSW. 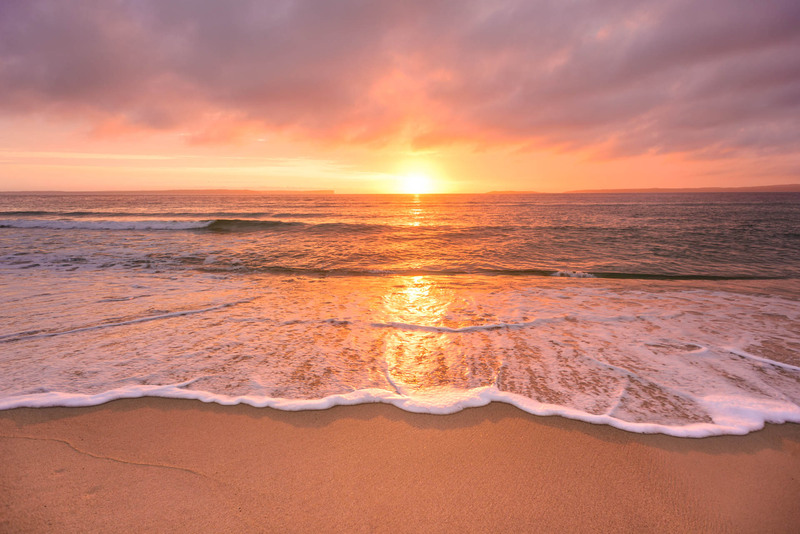 Framed art work "Lost for Words"
This item is a framed artwork called "Lost for Words" a spectacular moment on Jervis Bay at sunrise captured by John Lechner. "Sometimes I just can't be stuffed. Like on this day for example, I slept in, 5:35am late for me. It looked miserable outside. But I headed out the door, it is only a 10 minute drive to the beach and I thought might as well try. During the drive there the sky looked even more miserable, I almost chucked a u-turn. But I didn't. I had committed to trying to capture sunrise on my 3rd last morning in Jervis Bay. If I had given up, given in to the easy option, going back to bed. I WOULD HAVE MISSED THIS!! One of the most stunning sunrises I have seen, ever! So for me today the lesson is simple, be persistent, stay on task and don't take the easy option." The lesson, never give up, ever. I think this is perfectly apt for Christine and Adelaide. 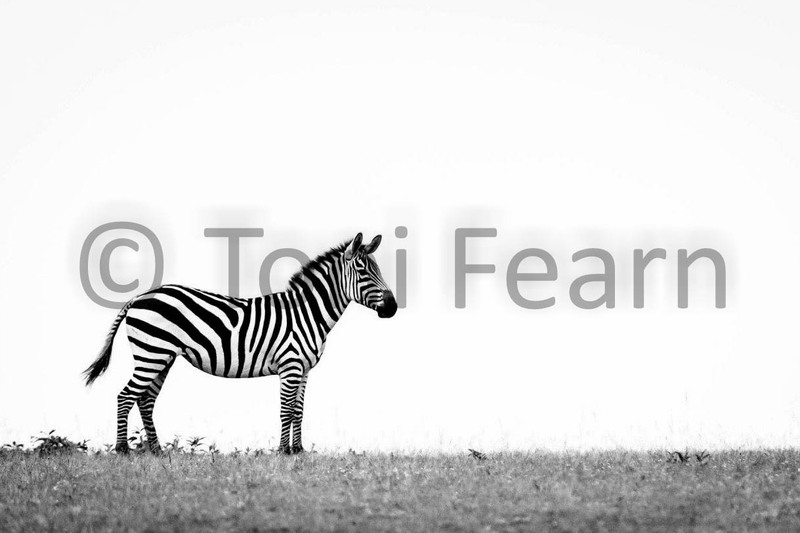 The print is a stunning 900x600mm art on glass print, valued at $799. The print is located in Sydney for pickup. A voucher of $500 to be spent on any TuffRock products. TuffRock carefully select the right minerals from particular volcanic soils, combining the elements and applying a proprietary technology to enhance their molecular forces, TuffRock conceptualized a range of all natural, powerful, volcanic products for animal health. 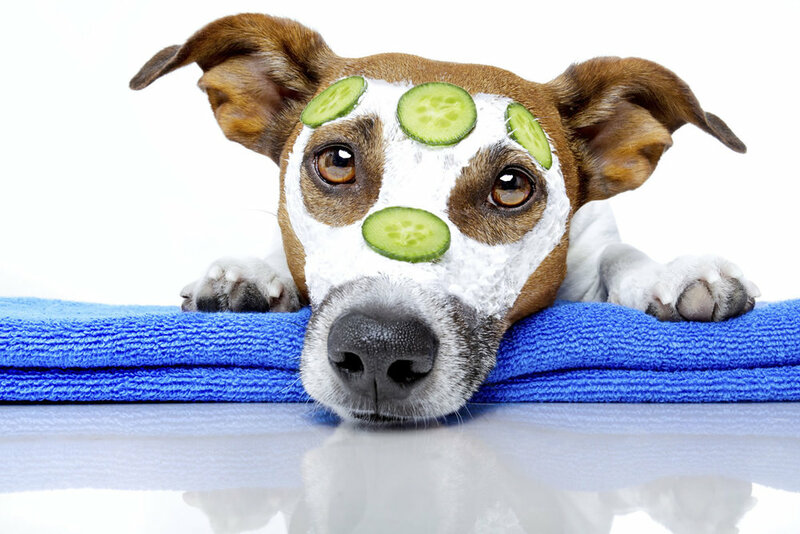 TuffRock has a variety of products to help aid in your animals health! One initial veterinary osteopathic assessment and treatment (45minute consult valued at $198) to be undertaken at Willow Park by Dr Nicola Jagger Finn. 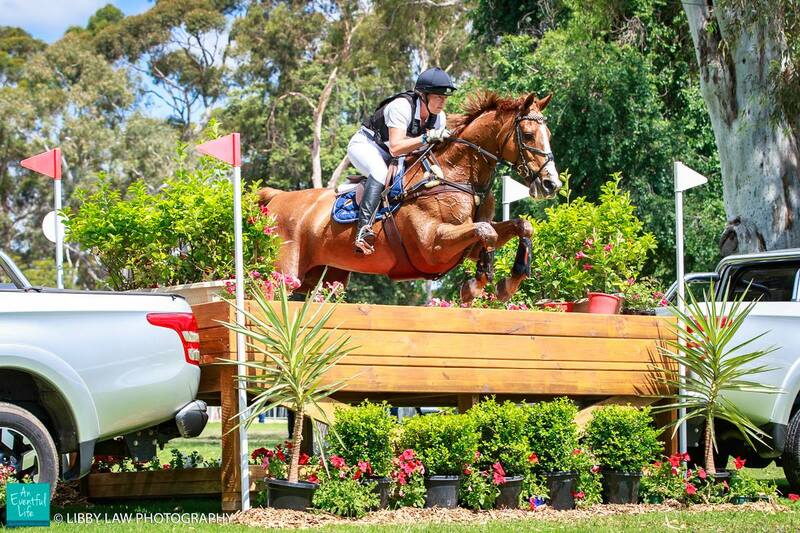 Fairlie Gidley- Baird (GBS) Equestrian is offering one breaking in servie to the value of $2,750. The service can be used at anytime with the winning bidder's horse incoporated into either GBS Equestrian's current or future horse program. 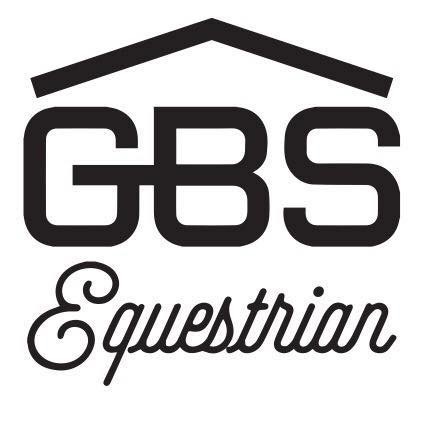 Please note that GBS Equestrian is located in Shepparton, VIC. Please note this service has a reserve price of $1,800.00. 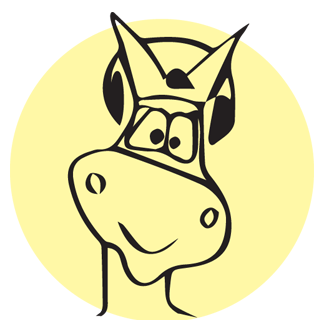 Sandy is a Level 2 Eventing Specialist Coach with many years experience teaching and competing. She is a previous winner of the EA "Coach of the Year" Award. This item is valued at $270.00. 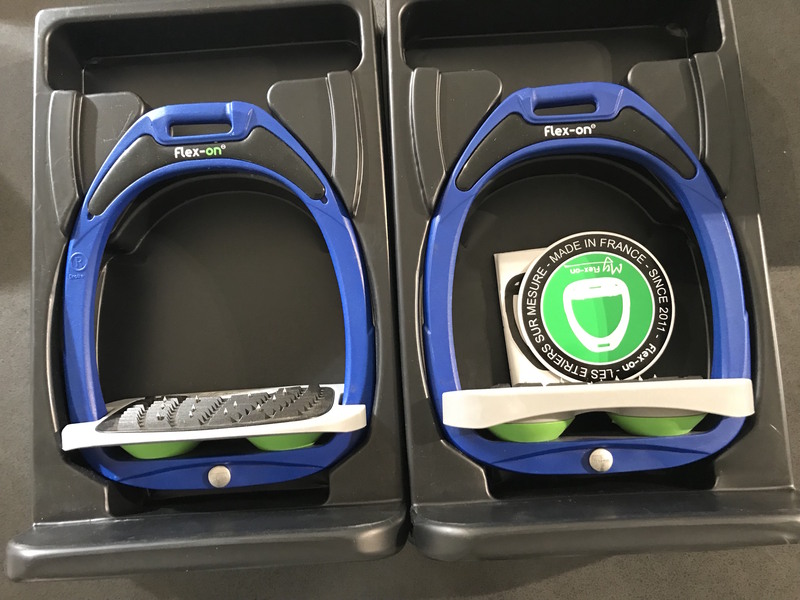 The winning bidder will be able to choose up to $400.00 worth of fabulous product from the Equine Health Science range. This item will include postage anywhere within Australia. See the website for details of all the amazing products this range includes and the health benefits they provide to your equine partner. 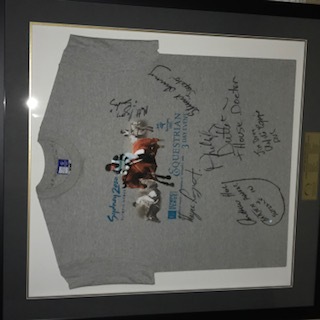 Framed signed T Shirt - Great sporting memorabilia item! Postage to be organised by winning bidder. 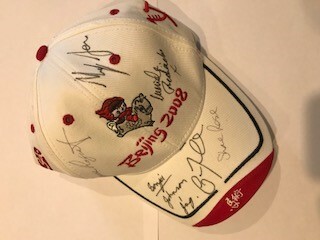 A great piece of Australian Sporting memorabilia - a cap signed by the Australian Silver Medal Eventing Team (2008 Olympics). Signed by the Australian Eventing Team. 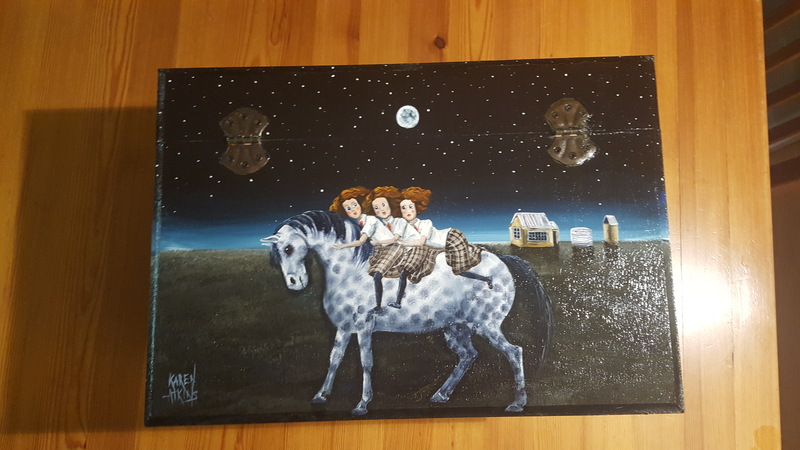 Karen Atkins Art Work - "Late Home From School"
This exquisite art work is an original, acrylic hand painted wooden treasure chest by the reknown artist Karen Atkins. This item is located in Sydney, NSW and can be delivered to the winning bidder within the Sydney area. 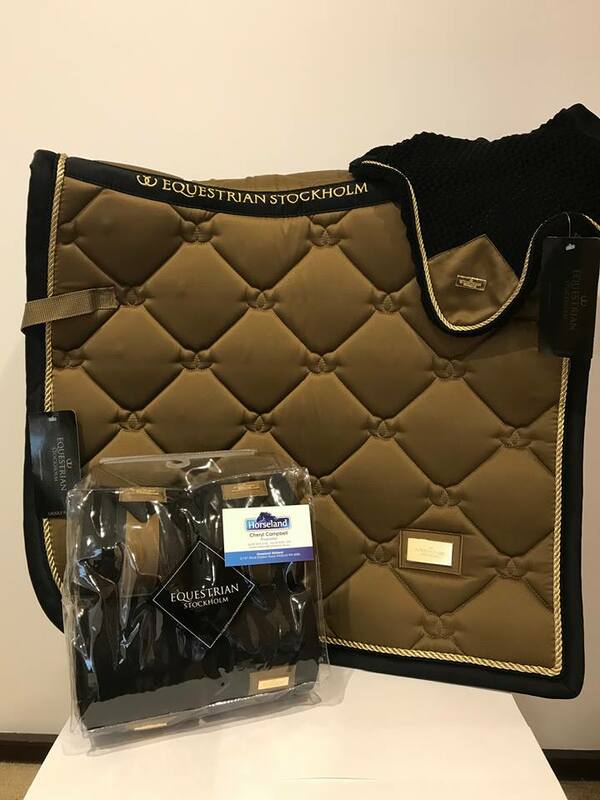 This gorgeous Equestrian Stockholm set includes a saddle cloth, 4 bandages and an ear bonnet. 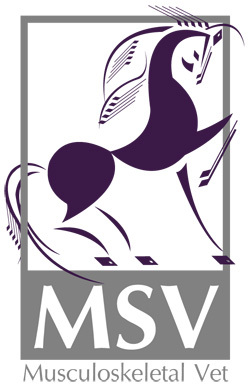 Kindly donated by horseland midland. This set has a retail value of $310. 1x Dog Grooming Service with professional Claire Stanley for a dog under 25kg. Claire is located in Baulkham Hills NSW and pampers every dog! This services retail value is $100. Have you got a birthday party coming up? Look no further than Kidz Zoo! 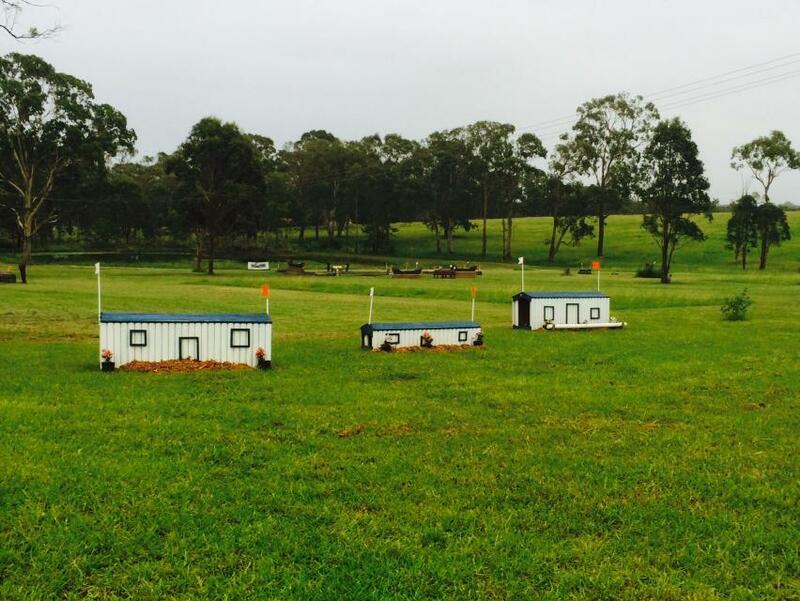 This package is valued at $695 and includes a 2 hour animal farm + pony within the Sydney area. Kidz Zoo is an Australian owned family business and have now been operating for about seven years. In this time they have become the largest, most reputable and professional petting zoo in NSW. If you log in you can record your details and process bids much faster.